The aero engine side of Alvis was an important facet of its history. This is told in a new book by Roy Probert entitled “Leonides”. Roy was with Alvis for 27 years, becoming a Quality Engineering Manager. He was given the memorabilia of the late George Clarke, then Chief Engineer when he retired from Alvis. He has contributed the following…. The decision by Alvis in 1935 to enter the realm of aero engine manufacture was bold, considering that it had no experience in this field of engineering. The company were aware that there was a market opportunity for a British engine of greater power than those currently then available and reasoned that their ambitions would best be served by building under licence an existing foreign engine they could learn from and further develop to meet that need. T G John had some background to doing this from his time at Siddeley’s in Coventry where he had previously held the position of Works Manager with a brief to improve the performance and reliability of a badly designed engine that would eventually emerge as the Puma. Alvis’s Chief Engineer, Captain Smith-Clarke, although having had close association with acceptance standards for aero engines during his time as a government inspector, was less enthusiastic at the idea having witnessed the pitfalls of meeting the increasing quality and performance requirements for an aero engine. However, they pressed ahead and entered into negotiations with a leading French engine producer, Society des Gnome et Rhone of Paris, and secured a contract that would give realisation to their ambitions. Such was their enthusiasm and confidence in the venture that a modern new factory was built on land the company already owned adjacent to the existing car factory in Coventry. The new premises were of the most advanced design in the country at the time, in respect of facilitisation, providing a high degree of independence from subcontracting by incorporating most of the manufacturing process requirements under one roof. Complimenting a large engine development test bed acoustically designed in conjunction with The National Physical Laboratory, were machine shops where each machine was self-powered dispensing with the overhead pulley and belt drives that characterised production plants of that time. Incorporated also were a pattern shop and a foundry smelting steel, iron and aluminium. Metallurgical, physical and chemical laboratories, and x-ray cells. Electro-plating shops, a coppersmiths, furnace heat treatment department, functional testing rigs and a toolroom producing all the necessary jigs and fixtures. In fact everything to ensure controlled, quality production. Recognising that they would need government support for the enterprise, T G John had earlier approached the ministry and gained tacit approval on the understanding that the engines Alvis were to produce would be given imperial sizing and accommodate British accessories as all others did, and Alvis gave assurances to this effect. However, the turn of events in the following months were to see government take a hostile stance towards Alvis’s intentions and refusal to buy engines of foreign origin. In retaliation to this the company intensified the design of its own, wholly British engine that in the months ahead was to emerge as Leonides. (1938). With the approaching threat of war with Germany, Alvis were forced to shelve their interests in aero engine development and to assist the war effort, the new factory making a valuable contribution to the manufacture of numerous aircraft parts, plus other related activities. Serious production of their 9-cylinder radial engine began in 1947, competing uncertainly at that time in the wake of the gas turbine against which its prospect for success was a gamble. But this modern and aesthetically pleasing engine found favour by its performance characteristics as an ideal power unit for certain post-war aircraft design applications, notably as suited to powering a new generation of rotary wing aircraft. In order to adapt the engine for the emerging helicopter designs, Alvis reconfigured the engine so it would operate lying on its back with the drive shaft uppermost. Unique but perfectly suited to the requirement. The success of Leonides grew steadfastly throughout the 1950’s and its power was increased from the original engine figure of 450hp to reach 615hp, and eventually saw the arrival of a 14-cylinder version producing 750hp. But the tide of aircraft engineering progress was to herald the decline of the piston engine as a power unit for future aircraft by the end of the decade. Leonides had a production span of 18 years during which time it found notable application in a number of fixed wing and rotary wing aircraft an well as experimental design uses the most unique of which was as the power unit for the first hovercraft. Alvis’s aero engine era was a chapter to be proud of in the history of this renowned company. A full and detailed account of the engine’s development and career is given in a book devoted to the subject. 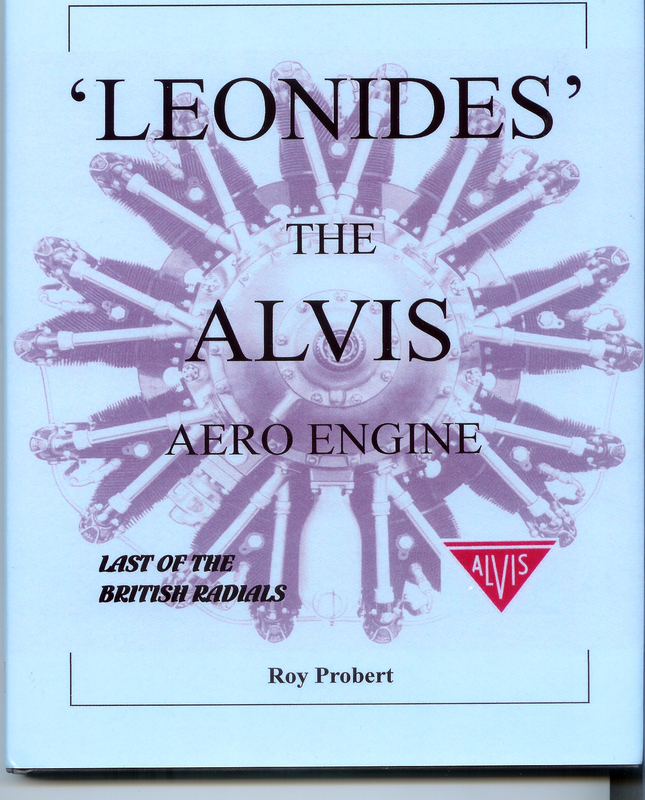 ‘Leonides’ – The Alvis Aero Engine by Roy Probert is published in hardback and obtainable from us, price £16.95 plus post and packing. Just leave a comment if you would like a copy. The aeroplane illustrated was the only Leonides-engined Beaver in the world. It had been on manoeuvres for two years with the army, with which it was popular during this period of loan. A capable performer, it was subsequently lent to Mr. Parkes on an indefinite basis as a mobile test bed. It was finally disposed of on the orders of Lord Stokes and found a home in Canada, where it was converted into a useful amphibian. It is pictured here on the occasion of the opening of the Champion Sparking Plug factory in Lancashire, De Havilland having their own factory in the neighbouring county of Cheshire. On the left of the group is Bill Martin-Hurst, Managing Director of Rover Limited, whilst A. B. Smith, Champion’s Production Director, appears in the photograph second from the right. Can anyone tell me what happened to the engine drawings? Is it possible to obtain copies of same with a view to modelling? Roy Probert says the engine drawings were all kept and placed in storage, but not catalogued. Whether their access or viewing is possible he is unsure but request for this would need to be made to the RAF holding authority. Roy holds the company appointment to provide technical support for all aero engine interests. Dear Sir, we would need a copy of the Leonides MK17302 Series 501 Handbook. This is needed for the technicians working on the Seycamore engine. Please assist, as it seems no one is able to support us with this need. Hi, I have just become the proud owner of an Alvis Leonides radial engine mounted to a Peter Grieve built running trailer. Before I get started running I am doing some in depth research on running procedures etc to avoid blowing the thing to bits first time out. In addition I have just read Roy Probert’s book on the Alvis Leonides which was a great read (top job Roy). What would be great is if I could find out the actual build info for my engine (manufacturing date, any other notes / info etc) but I have no means of contacting Roy. The engine plate reads “Leonides 125, Engine No. 567 MOS No. M640825”. Are you able to forward this onto him or make contact on my behalf please. I have passed your comment to Roy who I am sure will reply to you directly. Let us know when it runs! I’m about to visit Coventry (in June) as part of researching my family history. My grandfather, Harry Buller, worked at Alvis and is listed on the 1939 Register as a ‘Chief Planning Engineer – aircraft engine production’. I’m interested to find out what his job actually entailed. Can anyone help? Roy Probert has replied to you direct. Hello Glynis – I have made some enquiries about the picture of your father at Walsgrave, but no one recalls it or what happened to it. However, I and one of my ex-Alvis colleagues both have pictures with your father on from the days when we both worked with him. If any would be of interest to you I could always E-mail you with whatever so let me know. I’m trying to obtain a photo of the Rover APU that was worked on at Baginton.in the late 1960’s. I came close to taking over from the Forman Inspector there at the time, having been put forward by Roy Propert and his colleague. Unfortunately Donald Stokes put the kibosh on that by stating no further orders will be taken and the existing contracts will not renewed . I was offered a job on the fighting vehicles at the next opportunity but I declined and returned to Rolls-Royce. It’s all in my book Roy, ‘Memories of a Coventrian’ in hardback in all the libraries in Coventry. Good to see you’re still about Roy. Thanks for the news of your book. Roy will respond to you direct. Nick, I’ve got a Leonides in full working order on a mobile running stand, have a full set of electronic manuals and also several useful contacts ref additional tech expertise. I’m happy to pass on any info, where abouts in the country are you, I’m in the Leamington Spa area. Let me have a phone contact and I’ll give you a call. Hi paul i am located at the bottom of the world in auckland New Zealand. So a phone number wont work unfortunately. No worries, I’ll see if I can fire them over to you electronically via ‘drop box’ or something similar. I’ll get my IT friend on the case. If not I can always post them on disc. Watch this space. Hi Paul, sorry for hi-jacking this conversation but I am looking for technical drawings of leonides engine parts as I have the offer of a pair of heads with cylinders and pistons which I plan to build a V-twin engine to power a cyclecar based on mainly Austin 7 running gear and lots of home made parts, any help in getting hold of any detailed drawings etc would be greatly appreciated. The only reference I’ve ever seen to Alvis Leonides engineering drawings is in Roy Probert’s book where I think he mentions that most of the paperwork was destroyed when the factory was pulled down but that a full set of engineering drawings were deposited at a museum somewhere (Science Museum, RAF Hendon ??????). Roy’s on the archive so maybe he can comment. Cheers Paul Whitwood. Hi Nick, I’ve set up a drop box with all the manuals I have in it. This includes 1 full parts list, 2 workshop manuals, a manual on the magneto and also one on the Sea Prince. If you send me your email address I can share this with you and you can download all the files. Also, maybe you can help me too. I’m trying to get hold of a spare exhaust assy that will fit my Alvis Leonides 125 9 Cyl radial. It doesn’t matter what configuration it is as I only want the threaded connection collar assemblies and stub pipes as I’m making a bespoke system to suit my running stand. Ideally, any donor should be a damaged or corroded one to avoid having to canibalise a good one. Hi my email is xped3@hotmail.com thank you very much. Im also looking for the exhaust collars. Hello, I also would be grateful if I could obtain, via Dropbox a set of maintence manuals for the Leonides engine. I am involved with a museum which is restoring a Sea Prince to static display. Hi Leonard, I’ve set up a drop box with all the manuals I have in it. This includes 1 full parts list, 2 workshop manuals, a manual on the magneto and also one on the Sea Prince. If you send me your email address I’ll share the drop box with you and you can then download the files. Many thanks Paul, I will enquire about spare parts. Leonard, I’ve now added you to the Dropbox so you should receive a message giving you access. Paul, many thanks for the manuals, much appreciated. Hi paul thankyou very much i can now hopefully do the engine timing and get my engine up and running. Hello again, many thanks for the parts manual received via Dropbox. 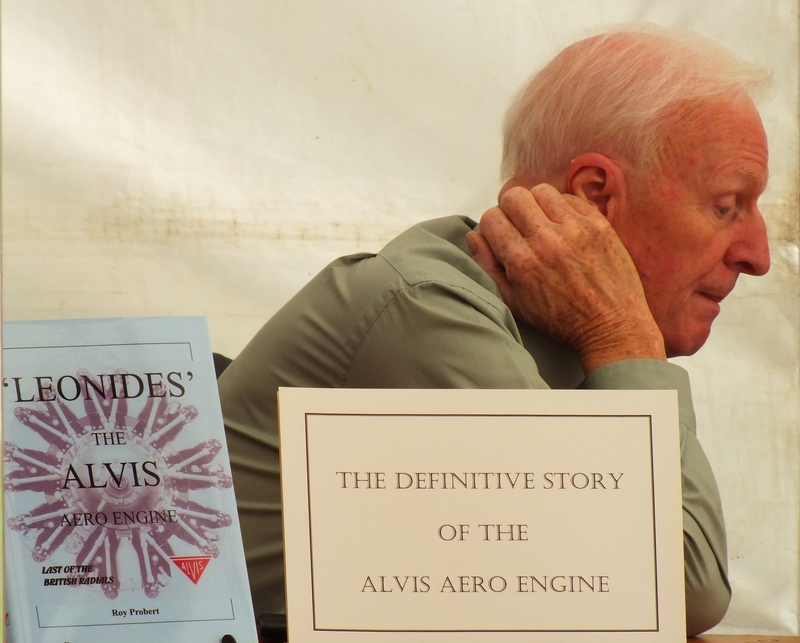 How can i get a copy of “Leonides” – The Alvis Aero Engine by Roy Probert? We can arrange to post a copy to you. Please let me know your address and if you can pay by bank transfer (preferred), PayPal or cheque. John Fox, trustee. Hi, I became an owner of an Alvis Leonides radial engine in the spring of 2018 when the Danish Airforce Historic Collection sponsored one for my vintage aircraft project. I now have the engine and a 3 blade Dowty Rotol propeller and have several needs, mostly information on different things from the engine bracket fitting dimensions to the airframe etc. and other specific technical specifications. As I want to make sure that the engine is proper managed I would also be searching for the typical Alvis Leonides engine instruments for the project together with a throttle and propellerpitch handle and the information on how to handle the many air valves in the air intake. Could you please assist me in getting into contact with people with the knowledge or even people who is working within the area om my interest. I thank you in advance. PS: I do have Roy Proberts book, a wealth of historic information. We have passed your enquiry to Roy Probert. Could you please advise if a copy of Roy Proberts book could be sent to me in Australia. My interest is for the Alcides and Pelides models, rather than for the Leonides. so, I would like to know to which extent the book on Leonides is informative on theses engine, especially on the efficiency of the changes introduced with respect to the French originals. Is it some alternative source of information on this topic? Roy has replied to you direct. Any idea how the crankpin is removed from the crankshaft on the Leonides? We have Mod 281 incorporated. One end has a serrated block with crossbar which sits into slots in the crank (plus a circlip). The end of the crankpin seems to be screwed into the crank and the head of the screw or bolt is a serrated socket at both ends – with possibly 21 teeth.